Having Difficulty Accessing a CDDA Preparatory Class? Check to be sure that you are logged into your IMDDA account. View your My Account Membership page to confirm that your IMDDA membership is current. If it's not, you may rejoin from that page, which will allow you to access your CDDA Preparatory classes. If you received Coupons/Vouchers for the CDDA Preparatory Classes Bundle or a single class, check to be sure that you have redeemed them, as well as a Professional Membership Coupon/Voucher. Check your email or My Accounts page for Coupons/Vouchers. Check your My Account Orders page to confirm that you have purchased the CDDA Preparatory class you are trying to access. If you still have difficulty accessing the CDDA Preparatory class, you may contact support to report the problem. 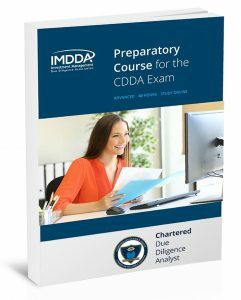 You can purchase all of the preparatory classes and the CDDA Exam at the discounted price of $6,500. This also includes a one-year professional IMDDA Membership. You will have LIFETIME access to the courses online, as long as your IMDDA membership remains active. Find out why you should take the CDDA Exam. Copyright 2019, IMDDA. All rights reserved.